There's only one outcome possible for this match. AJ must win. 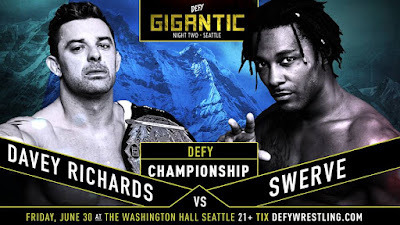 The only scenario outside of this is Jericho getting DQ'd to set up a Wrestlemania match. This is very plausible, seeing as that the Wrestlemania 32 card might not allow a lot of wiggle room for a last minute feud between AJ and someone else. Jericho vs. Styles might end up at 'Mania 32 as the blow off for their feud. If the Wyatt's don't win this match, I'll be surprised. I don't really see a point in beating them tonight. 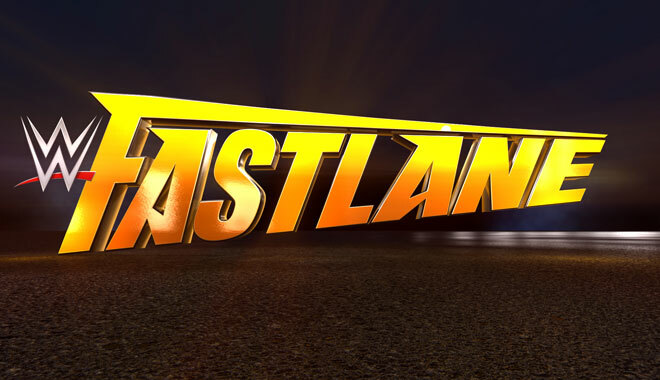 Wrestlemania momentum is on the line here, for the family and especially Bray Wyatt. Mid-card championship hot potato needs to end. This should be and Owens' win, with him carrying the belt into Wrestlemania 32. No reason to beat Banks and Lynch. They are the new guard and should be treated as such. Again though, it depends on what is planned for Wrestlemania. Still, I can't see Banks and Lynch dropping a tag match. Brie Bella has gained an interesting bit of momentum following Daniel Bryan's retirement. But that shouldn't translate into a win. Charlotte wins. There's no scenario I see that enables Brie to carry the title to 'Mania. I could definitely be wrong on this one, as I have not really understood the booking of this belt since John Cena lost it. So there's my guess. This prediction is mostly hopeful thinking. As the angle stands, Reigns seems to be a lock to win. But if WWE is truly trying to shake things up as they did at the Royal Rumble, it's time for another swerve. Ambrose winning would put a lot of excitement and chaos into the WWE Championship picture. Lesnar seems to be heading into a 'Mania match with Bray Wyatt, so look for the Wyatt family to somehow sway the outcome away from Lesnar's favor. 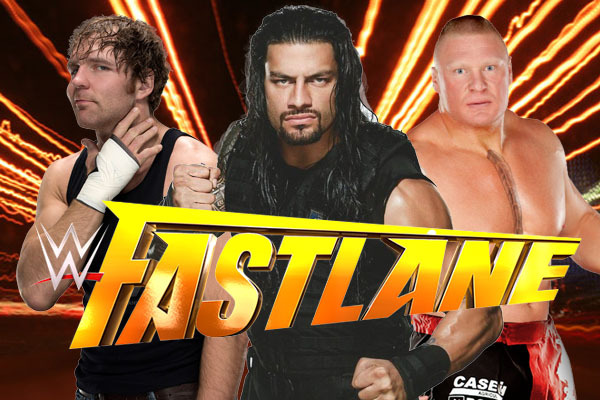 Again, I think Reigns is going to win this thing, but an Ambrose win would sure be a fun and exciting call. That's it people. Should be a halfway decent show. Keep an eye on the Heater Twitter account, as I'll be live tweeting the show (@HeaterWrestling). 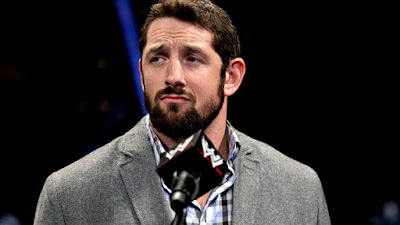 In a report from Pro Wrestling Sheet's Ryan Satin, it has been revealed that Wade Barrett has informed WWE officials that he will not renew his contract to stay with the company. Barrett's spent near a decade with WWE, first working in Ohio Valley Wrestling, the company's developmental territory at the time. Though he was never viewed as a top tier talent during the back half of his career, Barrett accomplished a lot during his run. He was a five time Intercontinental Champion and once the leader of the Nexus, a group and angle that still stands as one of WWE's most shocking and interesting storylines in the modern era. Let's run down some of Barrett's notable career moments. Who doesn't remember when the Nexus laid waste to John Cena and everything around them on Raw in 2010? Though somewhat overshadowed by the infamous "tie choking incident," that resulted in the release of Daniel Bryan, an immediate impact was made by the NXT wrestlers, led by Wade Barrett. As a leader, Barrett shined. Though very young in his WWE career, Barrett displayed his great ability as a speaker. How many times over the last decade has a wrestler or group of wrestlers been given the opportunity to take the main event spotlight coming from relative obscurity? Not very many times. Barrett, even with inexperience, did a pretty damn good job in the spotlight. I mean come on, he went from a goofy, borderline reality show in the original NXT, to being in a top card angle with John Cena. Now, from here the angle gets complicated, so I'm just going to simplify this down to its basic idea. Barrett never won the WWE Championship in the midst of this angle and really, I think he should have. Yes, that's easy for me to say. He probably had a lot against him in that respect. He was very new to the WWE audience. Internally, I'm sure people had their doubts as to whether he could carry the ball. This is understandable and would've been a risk in some respects to put that much stock into a guy that just came from a developmental system that had been historically hit or miss. When I say hit or miss, I pretty much mean that WWE seemed to have a loose understanding of the people they even had in whatever developmental territory they were using. But in retrospect, Barrett seemed to never regain the type of momentum he had post Nexus era. Would a WWE Title win have solidified him as a main event caliber guy? Maybe. Again, in retrospect it's easy to say these things. I do believe however, that Barrett needed a title win. After the Nexus and Corre angles had dissolved, Barrett was relegated to the mid-card. This could be seen as a demotion considering how he entered the main roster, but Barrett made the most of it. At one point, he was given the "Bad News Barrett" gimmick, which at first glance seemed to be a, "we don't know what to do with this guy," type of move. But to Wade's credit, he took the ball and ran with it. The gimmick was thoroughly entertaining and illustrated how great a performed Barrett could be. He took something that seemed like nothing and made it a segment and character that people looked forward to. His bad news rants got real reactions and even as a heel, was cheered at times. Regardless, he was over with the fans whether they like him or not. It speaks highly of the individual that he could accept any challenge and wasn't afraid of the spotlight. But hey, all the jitters were probably out the window after the Nexus attack on Cena. Pretty big deal to open with. I could go on all day about Wade Barrett and the potential that WWE seemingly squandered with him. There's always the match finish that Chris Jericho and Edge have referred to involving Cena and Barrett, but you can listen to Talk Is Jericho to hear that dirt. But, in the defense of WWE, Barrett's injury record didn't help his case as a top card talent. In every wrestler's career, there's going to be variables. Injuries, politics, performance, etc. 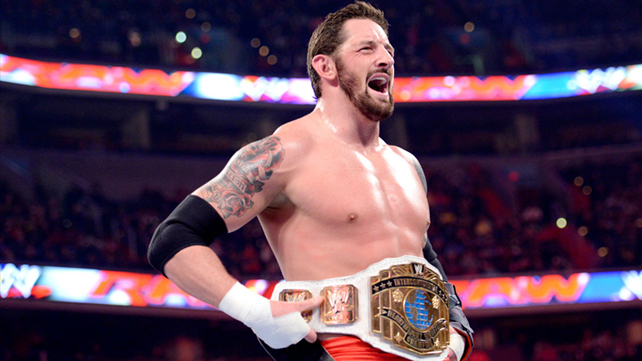 But make no mistake about it, Wade Barrett is no slouch. The man can wrestle and he can talk. He'd be a great asset to any wrestling promotion around the world. Now, I don't know what his plans are post WWE. He'll certainly have a no compete clause, though nowadays I'm not sure the details and stipulations in play. Maybe he'll pop up again at an ICW show or a wXw event. Though he's not a young guy in this profession, I know I'm not alone in saying, I hope there's an even brighter future in store for Wade Barrett.